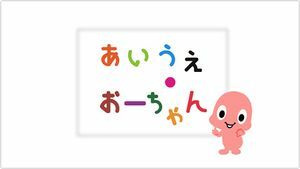 In Kodomo Kyōiku Terebi Wii: Aiue Ōchan (こども教育テレビWii　あいうえ・おーちゃん) an edutainment title encouraging interactions between parents and children. The graph below charts the compatibility with Kodomo Kyōiku Terebi Wii: Aiue Ōchan since Dolphin's 2.0 release, listing revisions only where a compatibility change occurred. This page was last edited on 27 January 2018, at 06:17.